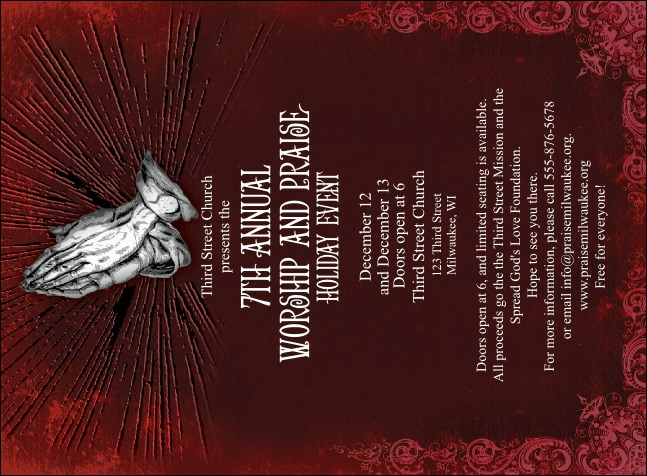 Come all ye faithful! Summon the masses to any sacred music event with the Gospel Invitation, part of the matching Gospel Event Kit with a pair of praying hands against a red background with an ornate, scrolled border. Works well for other church events, too. Fill in the template below to get started. Let the spirit move you when you find the right design in TicketPrinting.com's huge gallery of templates.